Federal Agents Defense Attorneys - Oberheiden, P.C. Unless and until you have a defense attorney present, you should never agree to an interview with federal agents. If federal agents visit you unannounced at your home or office, you should politely decline their request to speak with you. Even if the agents assure you that you are not the target of their investigation and that they merely want to ask you questions about their investigation into someone else, that representation may not be true. Federal agents often initially approach the targets of their investigations under the auspices of asking them questions about an investigation into someone else. You should always act under the assumption that you are the target of their investigation. Anything you say to a federal agent can be used against you. You may accidentally say something incriminating that draws suspicion onto you where none existed before. Federal agents often have years of interview experience and employ specialized tactics to elicit incriminating information from individuals without the individuals even realizing what they are doing. Moreover, if you misrepresent any information, you could be held criminally liable for lying to a federal agent, which is a felony and can result in imprisonment. Similarly, unless and until government agents have a search warrant, you are under no obligation to allow them to search your home or office. By forcing the agents to obtain a search warrant, the scope of their search must be limited to the objects they have probable cause to search. Voluntarily allowing agents to search your premises gives them unimpeded access to conduct a fishing expedition for any evidence that could possibly be used against you. Importantly, once you waive your right against unreasonable search and seizure by allowing a warrantless search, you cannot later complain that the agents exceeded the scope of their search. 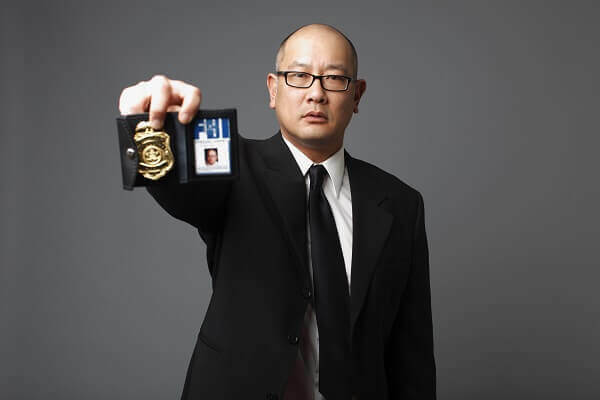 Voluntarily agreeing to an interview or search with federal agents will only hurt your case. It is natural to want to ingratiate yourself with the agents, but you are likely already under investigation, and nothing you say or do will dispel the investigators’ suspicion. You also risk incriminating yourself. In contrast, declining a voluntary search or interview cannot be used against you in future legal proceedings. Invoking your constitutional rights will not impeach your credibility to the investigators or a judge. Even when you decline to speak with the agents, you are still under an obligation to confirm who you are and your correct address. Likewise, you should remain polite at all times during the encounter. At all times during the interaction, the agents will be evaluating you and your credibility, and you should avoid antagonizing them. Additionally, you should ask the federal agents to identify themselves and their associated agency. If possible, you should request a business card from each of the agents that visit you. Once you have obtained legal counsel, information about the agents will be useful to your attorney in figuring out the nature of the investigation. If you have been approached by federal agents at your home or business, you should contact a criminal defense attorney immediately. The lawyers at Oberheiden, P.C. are available to take your call seven days a week, including weekends. All consultations are free and confidential. Oberheiden, P.C. is a criminal defense firm with headquarters in Dallas, Texas that services clients throughout the United States. Clients seek our services to assist with grand jury investigations, audits, and criminal defense matters. All our clients have direct access to highly experienced attorneys and are not walled off by paralegals, secretaries, or junior lawyers. Dr. Nick Oberheiden, founder and principal, has represented clients from across the country in government investigations, grand jury proceedings, and as lead criminal defense attorney. Trained at Harvard Law School, UCLA School of Law, and several other institutions of world reputation, Dr. Oberheiden understands what it takes to prevail in complex criminal matters. His practice is limited to federal law, federal criminal law, and government investigations. Result: No criminal liability, case dismissed.